Orchid Show 2019 at the Missouri Botanical Garden in the Orthwein Floral Display Hall in the Ridgway Visitor Center from 9am to 5pm. 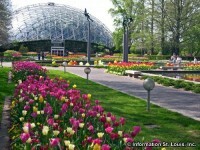 Admission is an additional $5 to the regular Garden admission. Free of charge for Garden Members. See website for more information.